Apart from the returning cast of Jennifer Lawrence, Josh Hutcherson, Liam Hemsworth, Woody Harrelson, Sam Claflin, Stanley Tucci, Elizabeth Banks, Donald Sutherland, Phillip Seymour Hoffman, Jena Malone, Willow Shields (and others), there are new cast members joining the ranks like Julianne Moore as President Coin, Natalie Dormer as Cressida, Stef Dawson as Annie Cresta and Robert Knepper as Antonius, a character created exclusively for the film. This entry was posted in Book Adaptations, Poster Reveal, The Hunger Games and tagged Jennifer Lawrence, Josh Hutcherson, Liam Hemsworth, mockingjay, Posters, Sam Claflin, Suzanne Collins, the hunger games. The London premiere of The Hunger Games: Catching Fire took place on the star-studded night of November 11, 2013 in London’s Leicester Square! The event was attended by stars Jennifer Lawrence, Josh Hutcherson, Liam Hemsworth, Sam Claflin, Stanley Tucci, Donald Sutherland, Elizabeth Banks, Willow Shields, Jena Malone and Jeffrey Right along with director Francis Lawrence and producer Nina Jacobson. Fans waited for as long as thirty hours and more, battling the London rain and November chill to catch a glimpse of their favourite stars. However, if like us you live elsewhere on this enormously large planet, then there was no need to worry, for Yahoo! Movies brought us the stream of the entire event including interviews with the cast members. You can catch a replay of the stream below. Take a look at these screencaps from the stream! Willow Shields (Primrose Everdeen) spoke about all the fun they have on set and looking up to Jennifer Lawrence, who is such an inspiration. "She's crazy. She's insane. She's nuts. But it's all good." — @WillowShields on Jennifer Lawrence at the #CatchingFireLondon premiere. Stanley Tucci (Caesar Flickerman) spoke about enjoying playing the same character again, who he says is really fun to play on screen. He also spoke about the bizarre look which suited him and how everyone has a soft spot for Katniss. Jena Malone (Johanna Mason) arrived looking lovely. She spoke about playing her character and how she had to dial it down at night because Johanna is a little violent. She also shared that she read the trilogy in 48 hours before her audition. Donald Sutherland (President Snow) arrived, feeling very cold, as he told the presenter. He also said that he thinks President Snow is a wonderful, lovely man and as a ruler of a country, he has to be pragmatic. Jeffrey Wright (Beetee) spoke about how amazing the film has turned out and about his character’s interesting tricks in the film, describing Beetee as a thinker. He also praised Jennifer Lawrence and the fun banter with Jen and Josh on set, especially the lack of egos. Jennifer Lawrence (Katniss Everdeen) came into the ”arena” and stole the show! She thanked fans and spoke about her character, used the word ”fierce” and said that the most emotional scene in this film was the one at the Reaping when they take Katniss away and she isn’t allowed to meet her family. Director Francis Lawrence spoke about how it was important to film in real world locations to bring that real world feel to the film, including shooting arena scenes in Hawaii. He also revealed that Jennifer is usually the target of pranks and that most pranks are pulled by Josh. Liam Hemsworth (Gale Hawthorne) spoke about Gale and described him as a noble guy who is trying to protect Katniss. He also said the Gale was passionate and caring about his family, characteristics that he liked in his character. About the whipping scene, he said that though it was a soft object, it did start to hurt after many takes. He also revealed that along with Josh and Jen, he becomes a maniac on set. Sam Claflin (Finnick Odair) attended the event with his wife Laura and got cheeky during the interview. He thanked all fans who had been camped all night and offered them a sugarcube! Oh Sam!! He joked about his preparation for the auditions, teasing that he practiced carrying his grandmother on his back for six months and showed up with her to his auditions and then offered them a sugarcube, and then stripped down his clothing, only wearing a knot. When the presenter added ”nothing but a sugarcube”, Sam added ”well, a packet of sugarcube”!! Haha Sam, you cheeky little thing! Josh Hutcherson (Peeta Mellark) thanked fans for the support and the energy they provide. Josh revealed that he fell in love with Peeta’s arc when he read the book, seeing that he goes from being a baker to being a victor and then going on to being used by the Capitol and dealing with the trauma. Josh also said that he admired the fact that Peeta was a loyal person not only to other people but also to his own ideals and he strives to be like that in real life. Elizabeth Banks (Effie Trinket) said that Katniss Everdeen was a young role model who everyone could root for and the film also provides an escape. She spoke about the evolution of the character in Catching Fire and how her maternal instincts kick in when she gets two victors and takes care of them. She also spoke about how Suzanne Collins created such an amazing over the top look for Effie and how Effie is nothing without her wardrobe. The actress wore a Jason Wu dress and looked gorgeous. Also, how amazing are these fans and the atmosphere at Leicester Square? PRETTY AWESOME! The film releases on the weekend of November 20-22, 2013 in UK, USA, Australia, most European countries, Taiwan, South Africa and on the weekend of November 27-28, 2013 in India, Belgium, France, Switzerland, Italy, etc. For a full list of release dates, check out IMDB. Also check out our reactions at the latest Catching Fire trailer! What are you most excited to see on screen in Catching Fire? This entry was posted in Book Adaptations, The Hunger Games and tagged Catching Fire, Hunger Games: Catching Fire, Jennifer Lawrence, Josh Hutcherson, Liam Hemsworth, London, Premiere, Sam Claflin, the hunger games. 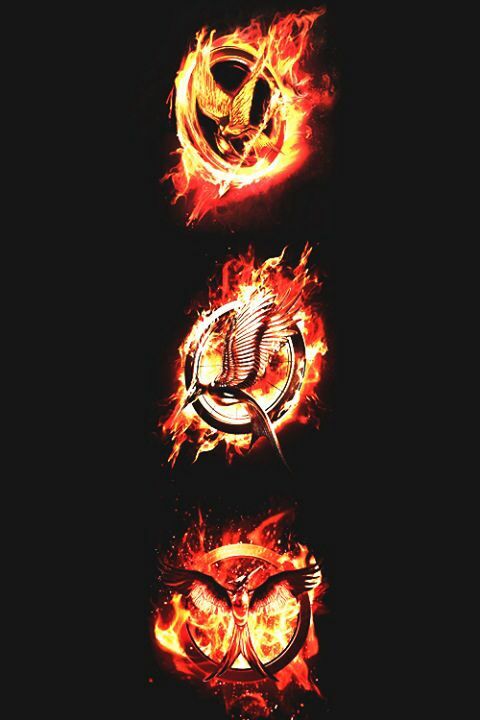 The World is “Catching Fire”! The final trailer for next month’s upcoming film, Catching Fire, released last night and it sure adds to the final piece of the puzzle, featuring scenes from the arena, including the fog, the mutts, the jabberjays and a defiant Katniss releasing her arrow into the force field! Check out the trailer below! So lets dive right into the trailer and spot the familiar scenes! The arena for the 75th Hunger Games – tick, tock! The locket that Peeta gives to Katniss inside the arena! Oh, now what are you up to, Capitol hovercraft? Cinna’s beautiful dress for Katniss transforms her into the Mockingjay! One of the first adversaries in the arena – that wretched FOG! These scary monkey muttations are no friend to any tribute! 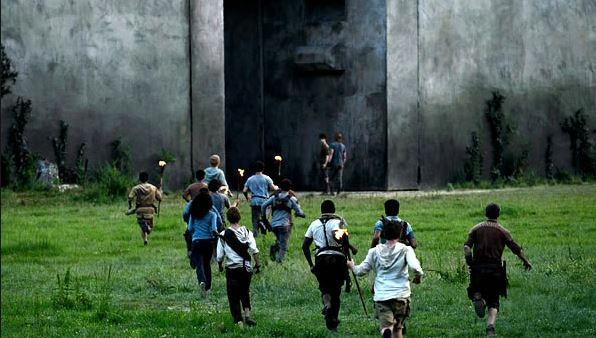 A remarkable thing about this (and other) Catching Fire trailers is that we can recognise so many scenes from the book. The first film, The Hunger Games, was also very faithful to the book and that could be attributed to the fact that author Suzanne Collins co-wrote the screenplay. For Catching Fire, however, the screenplay was co-written by Simon Beaufoy and Michael Arndt with Suzanne Collins receiving writing credits only for the book and even then, the upcoming film seems to be very faithful to its corresponding book. One can only hope that future “YA novel adapting” screenwriters, directors and producers take note that a lot of the success of The Hunger Games film series lies in its faithful adaptation from its books! The film releases on November 22 and advance tickets are on sale now! How excited are you for Catching Fire? This entry was posted in Book Adaptations, The Hunger Games, Trailer Reactions and tagged Catching Fire, Jennifer Lawrence, Katniss Everdeen, Peeta Mellark, Suzanne Collins, the hunger games, trailer.